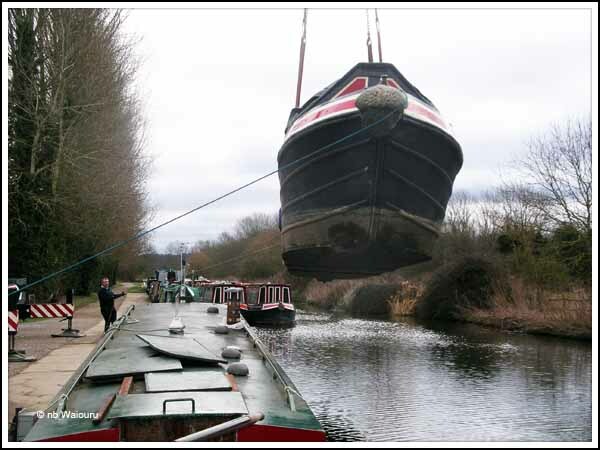 Another of those crane days at the boatyard when the hire crane completes a large number if lifts. 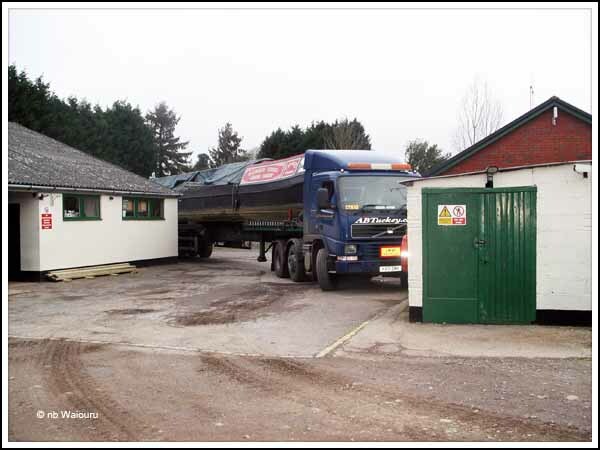 First it was Paul’s recently purchased butty (Cygnus) which arrived on a Tuckey artic lorry. It was somewhat of a squeeze but the driver eventually made it to the wharf. 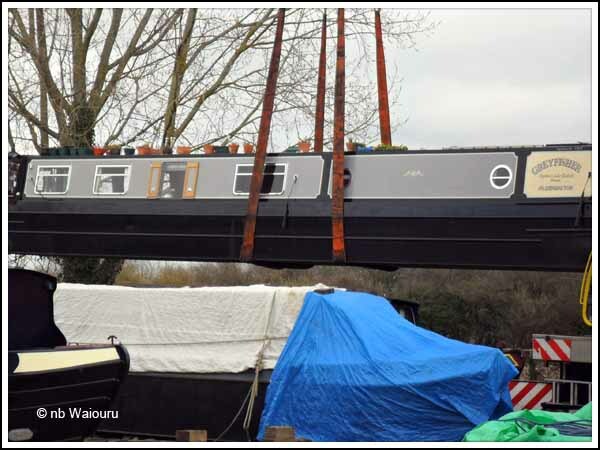 Cygnus was temporarily placed into the water as the truck lorry had been booked to take one of the boats on the boatyard hardstanding to its new home. 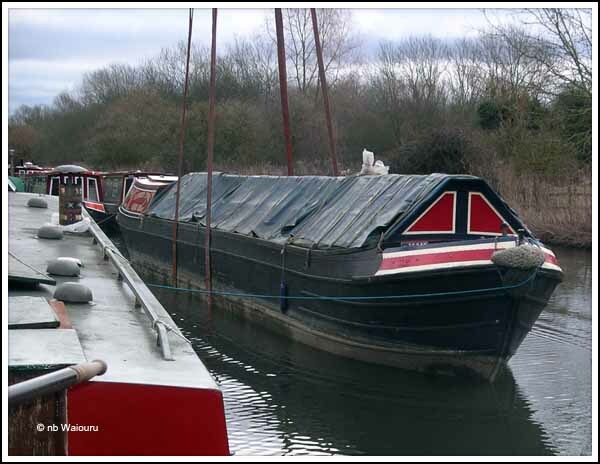 Next nb Greyfisher went back into the water. No, she isn’t going over the top of Waiouru. Two more lifts, including Cygnus coming out of the water, and then Andy decided to lift Waiouru……. all of 6 inches! Yes, that’s me in my blue ‘playsuit’. I just needed to push Waiouru 12 inches to recover my pencil. The objective of the exercise was to level her on the dunnage for the joiners.